The revised aerodynamics create up to 2,204 pounds (1,000 kilograms) of downforce. [UPDATE] Live images from the Geneva Motor Show have been added at the beginning of the gallery, below. Say hello to the successor of the legendary McLaren F1 GTR, the Senna GTR. It’s still only a concept car, but will eventually morph into a production model, limited to only 75 examples. The track-only beast is sitting next to the Senna Carbon Theme at the 2018 Geneva Motor Show. 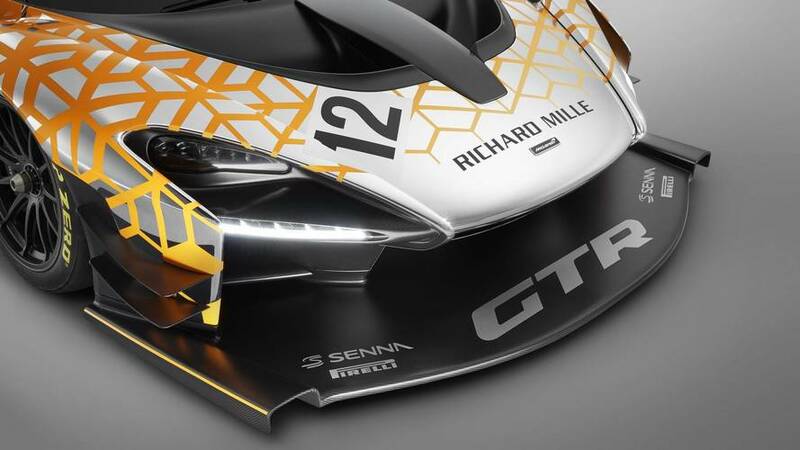 At this point, McLaren is not revealing exact power figures, but says the Senna GTR will have “at least” 825 horsepower (615 kilowatts) and will be faster than the “regular” Senna in a straight line. The power boost will be combined with suspension revisions, a new race-style transmission with even faster gear shifts, and Pirelli slick tires. As a result, the car should become the fastest non-Formula 1 McLaren vehicle ever in terms of lap times. The form-follows-function design approach of the Senna is even further developed in the GTR concept, which has new and wider front and rear fenders, and new wheel design. Also, a larger front splitter is fitted, as well as a more massive rear diffuser. All these modifications create up to 2,204 pounds (1,000 kilograms) of downforce. When the article is fully written, i.e. the final production version of the Senna GTR is ready, the British exotic supercar maker will produce only “up to” 75 cars in total. Each one of them will cost about one million British pounds, which equals to about $1.385 million at the current exchange rates, so you’d better start saving now. McLaren Automotive, the British creator of luxury sportscars and supercars, is to offer a track-only version of the new Ultimate Series McLaren Senna, to be called the McLaren Senna GTR. 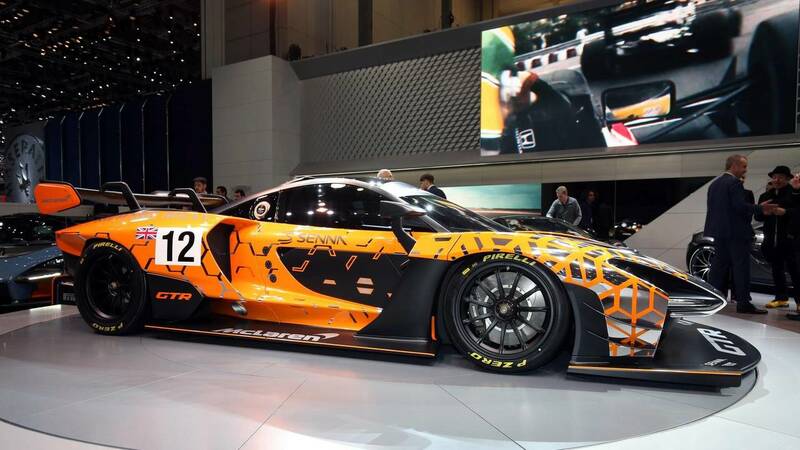 Unveiling the McLaren Senna GTR Concept today (March 6, 2018) at the Geneva International Motor Show, McLaren Automotive CEO, Mike Flewitt, confirmed that up to 75 examples of the most extreme McLaren car ever will be hand-assembled in Woking, England, during 2019. 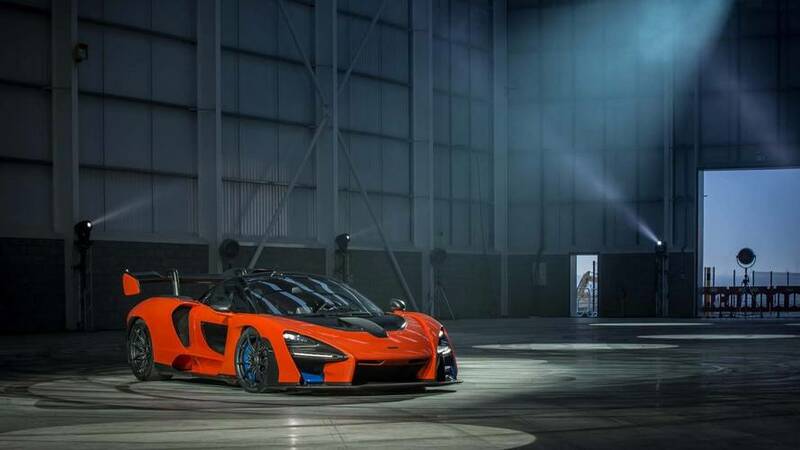 Expressions of interest will be taken at the Geneva Show and thereafter, with exact technical details of the McLaren Senna GTR confirmed later this year. Based around the same carbon fibre Monocage III structure as the McLaren Senna to ensure the core strength and rigidity needed for a top-flight track car, the McLaren Senna GTR will be similar in weight to the 1,198kg lightest dry total of the road-legal McLaren Senna. With more power and greater torque from the 4.0-litre twin-turbocharged V8 engine than the 800PS and 800Nm developed in the road car – horsepower will increase to at least 825PS – the car will be faster than the ‘standard’ model in a straight line. The additional benefit of a race-style transmission, revised double wishbone suspension and Pirelli slick tyres – together with up to 1,000kg of downforce – will ensure that the McLaren Senna GTR will also post the quickest McLaren circuit lap times outside Formula 1. The ‘form follows function’ McLaren design philosophy that is at is strongest in the McLaren Senna provides – quite literally – the ideal platform for the McLaren Senna GTR. The car will have a wider track and new fenders front and rear, the changes to the carbon fibre body simplified by the fact that the fenders and other aerodynamic components have been designed as ‘clipped on’ to the cockpit structure, allowing relatively easy modification. 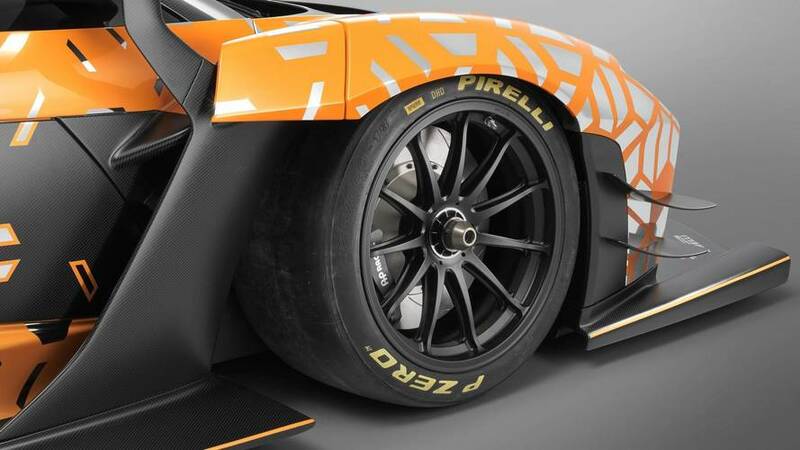 The McLaren Senna GTR will also feature a new wheel design, developed specifically for circuit use. The front splitter of the McLaren GTR Concept is larger than the road-car component and contributes to improved front aerodynamic performance, as does the rear diffuser which is both larger and extends further back. 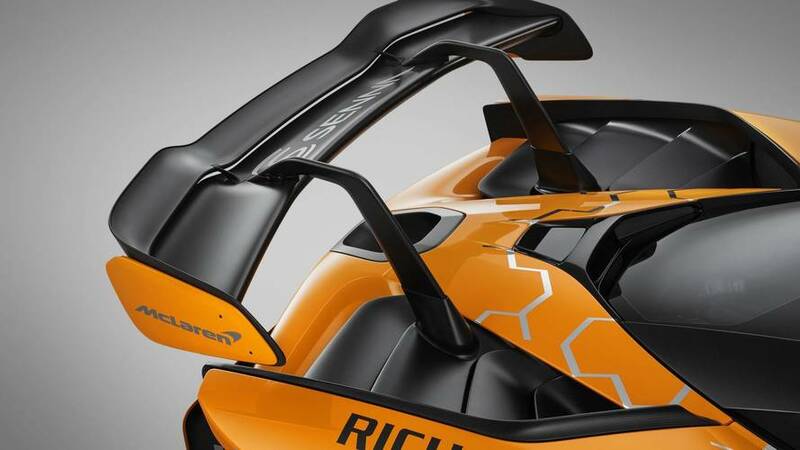 The rear deck is the lowest of any McLaren and aids both aerodynamic performance and cooling, as well as helping to optimise the performance of the active rear wing. The design of the doors benefits aerodynamic efficiency, the outer skin being ‘pushed in’ as far as possible towards the centre of the car to better channel airflow. Unlike the road-legal McLaren Senna, the McLaren Senna GTR will feature a polycarbonate ‘ticket’ window. McLaren Automotive is increasing its focus on providing customers with track-based driving experiences across its full range of cars. A single-make race series has been launched as part of the programme of Pure McLaren track events, allowing McLaren owners with the minimum of an International D-grade licence to take advantage of a full ‘arrive and drive’ package to race in a 570S GT4 car. To support this and other motorsport activities, a network of McLaren retailers specialising in selling and fettling McLaren’s motorsport models has been established; initially 10 in number, the retailers serve Europe, North America and Asia Pacific.